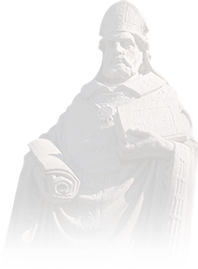 The mission of St. Ambrose, focused on student development, demands that we investigate the extent to which learning occurs and the degree to which our institutional activities contribute to that learning. The purpose of assessment at St. Ambrose is to provide useful feedback to students, faculty, and external stakeholders for benchmarking and improving institutional effectiveness. The following values guide the implementation and evaluation of assessment at St. Ambrose. The concept of a common data set arose out of the demand placed on colleges and universities for large amounts of information from various external organizations. The common data set is made up of a set of standards and definitions of data to help ensure that data is more likely to be reliable (consistent), valid (measure of what they are intended to measure), and accurate. The topics included in Common Data Sets are: general information; enrollment and persistence; first-time, first-year freshman admission; transfer admission; academic offerings and policies; student life; annual expenses; financial aid; instructional faculty and class size; and degrees conferred. Please refer to www.commondataset.org for more information. Click here to request previous years of Common Data Sets. Assessment and evaluation activities for the institution, academic programs, and co-curricular units are guided by the Institutional Assessment and Evaluation Plan. Plans for the Colleges of Business, Arts and Sciences, and Health and Human Services are located on MySAU Portal. Academic programs maintain assessment plans primarily through the annual assessment process. These assessment plans are available on the EPC Blackboard site. Click here to view the annual assessment process sample template. Is the academic program performing appropriate assessment? Does the program appear to be meeting student learning outcomes? An evaluation of resources and SWOT analysis based on trends in enrollment and productivity. The EPC Blackboard site maintains program review documents from all academic programs. The Academic Support Committee schedules a review of each co-curricular unit every five years, similar to the academic program review process conducted by the Educational Policies Committee.